Dental patients from western European countries are becoming increasingly more interested in dental treatments abroad and Romania is one of the most popular destinations for those who require various complex dental treatments. Romania is not only easily accessible for Germans, but it also has very low prices for dental treatments, compared to those in Germany. Tourists who come to Romania can travel to Bucharest to treat any urgent or pressing dental issues and then travel further to explore the beautiful landscapes the country has to offer. 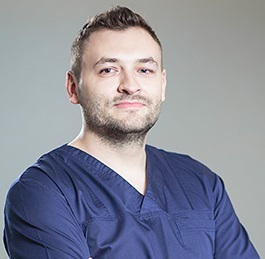 Dentists in Bucharest are well trained, professional and work with the best possible materials to ensure that all patients have a pleasant and pain free solution to any dental problem. Traveling to Romania from any European country is very affordable and planning a dental travel trip in advance gives you the chance to find discount airplane tickets from one of the many low cost operators traveling to Bucharest from German cities. One way airplane tickets from Germany to Romania can have prices below 100 euros and transportation in Bucharest is also cheap: a one way ticket for a bus ride will cost roughly 0.28 euros. Taxis are also a great option since they are cheaper than in most European capitals: in Bucharest a taxi ride has a tariff of 0.30 euros per kilometer. Compared to Berlin, accommodation in Bucharest is much more affordable. If in Germany one night at a hotel will cost around 100 euros, hotel prices in Bucharest start at around 40 euros per night. Bucharest also offers a vibrant nightlife and many touristic attractions. 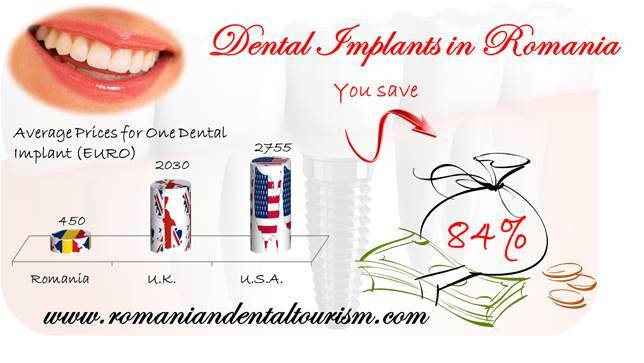 While affordable accommodation and entertainment options are available throughout Bucharest, tourists who come to Romania in search of dental treatments abroad will say that some of the greatest thing about Romania are its talented dentists and the affordable prices for dental treatments. At our clinics in Bucharest, dental implants have a starting price of 450 euros and teeth whitening, one of the most requested procedures, is extremely affordable, at a price of 230 euros. 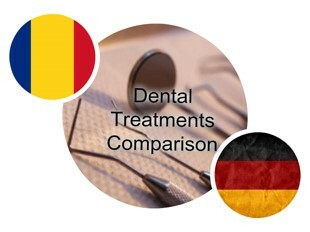 Compared to German prices, patients get here a discount of about 170 euros for teeth whitening and much more for dental implants. If you are interested in dental tourism and you would like to choose Romania, our dentists in Bucharest are ready to answer any questions about the procedures. Together with our team in Bucharest you will plan the best treatment plan and find a solution for any dental problem. Contact our dental office in Bucharest to make an appointment or an inquiry.